It was a cool ending after a hot start. 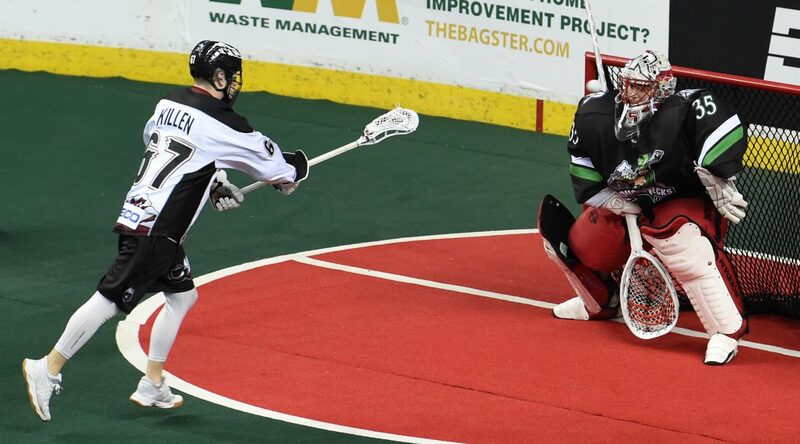 Despite sporting a three -goal lead after the first quarter, the Riggers were edged 11-9 by the Colorado Mammoth at the Scotiabank Saddledome March 16. It was a promising onset to the game for the Riggers sitting 4-1 after the first frame, and 5-1 just 30 seconds into the second quarter. But, the Mammoth quickly threw a blanket on the Roughnecks’s fire with five unanswered goals to put them ahead 6-5 early in the third. Outscored 6-4 in the second half of the tilt, the Riggers couldn’t catch the Mammoth – who would won the season series with the victory. The Roughnecks now sit at 6-7, holding steady at third place in the West Division.